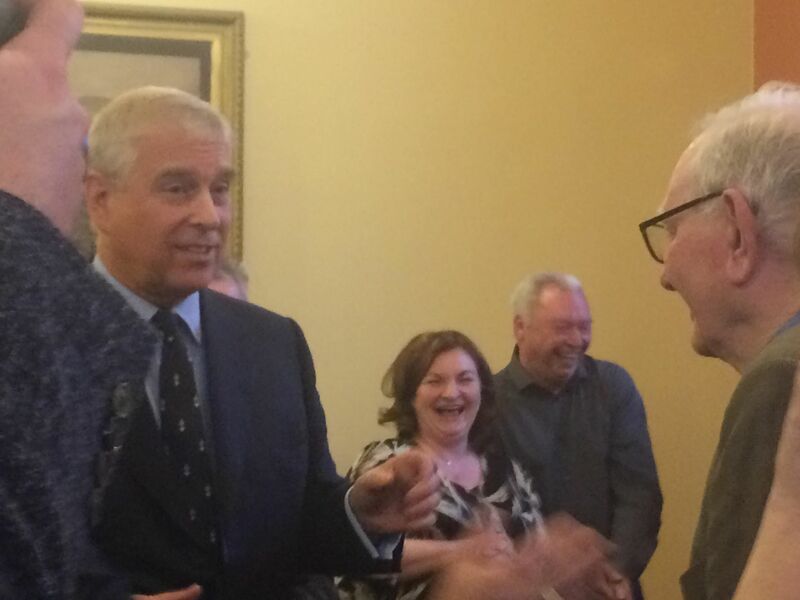 A Royal Welcome, A Giggle and A Gift. 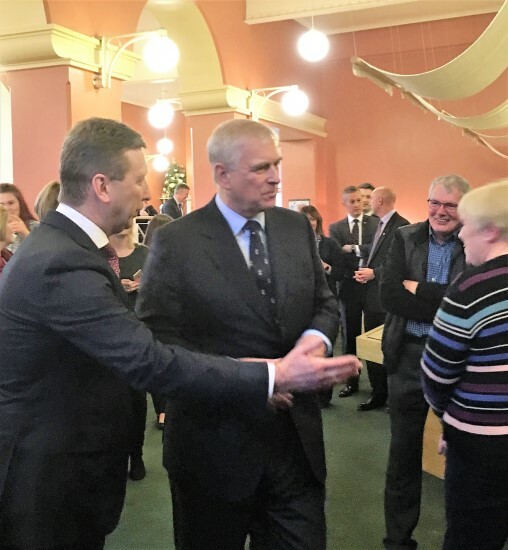 HRH The Duke Of York, Prince Andrew paid a visit to Belleek last week. 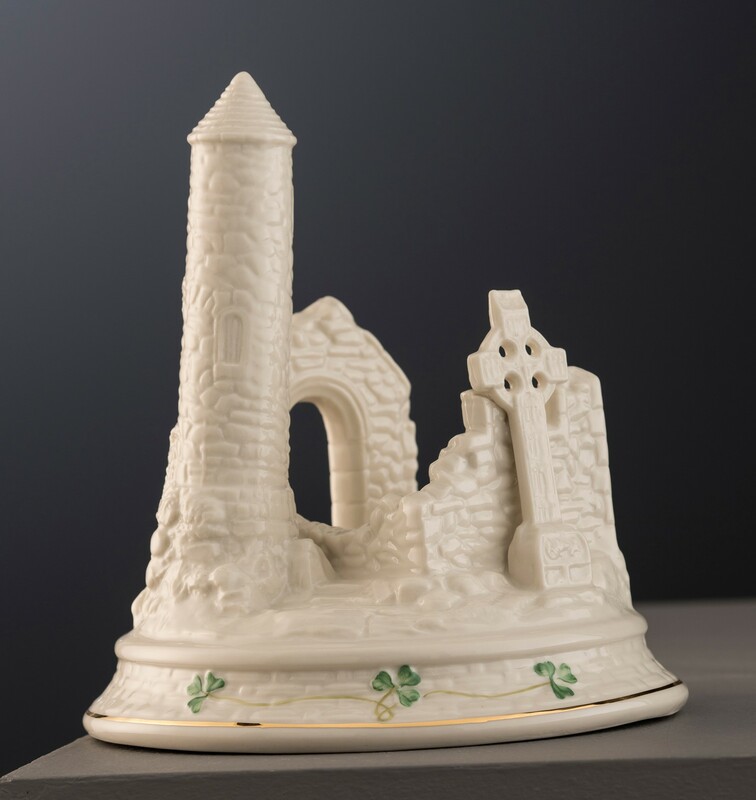 He wanted an opportunity to see the world class craftsmanship at Belleek Pottery and meet some local people. It’s not every day you meet a prince! John Maguire, the managing director of Belleek Pottery took care of the introductions. After enjoying some Belleek hospitality with tea and cake, we were organised into groups of six. 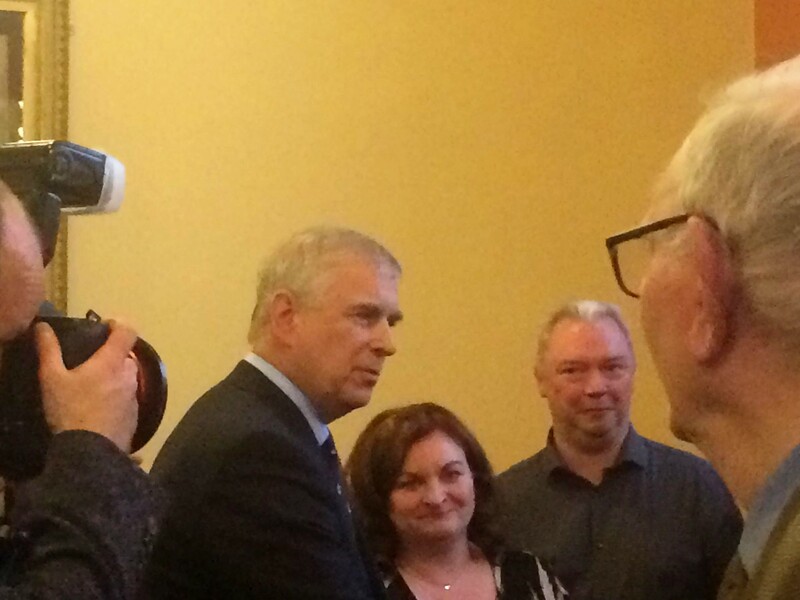 This was so the prince could have a chance to chat with each group in turn. Beforehand, the Deputy Lieutenant approached to tell me I had been nominated to be introduction leader for my group. Me! He told me that John Maguire would introduce the prince to me first and I, in turn, would introduce the members of my group. Oh dear! I told him I would be very likely to forget my best friend’s name when under pressure. But it all worked out and I managed to remember the names of the five other people alongside me – Phew! 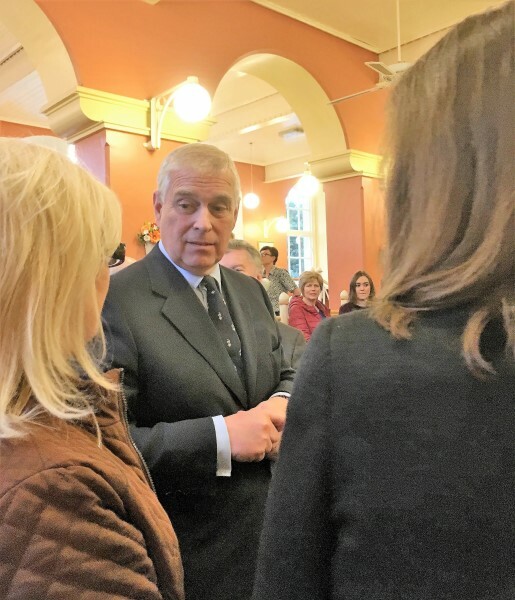 Here, Prince Andrew meets local business women and members of the Belleek Women’s Shed. 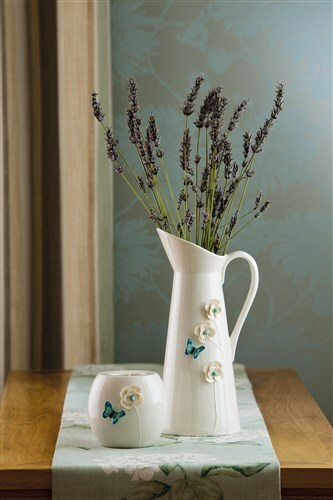 A wedding gift for Princess Eugenie was also presented to the prince – A pretty Belleek Living Azure pitcher with handmade Belleek Flowers. You never know when you will be caught on camera at these events. (ahem!) Myself and Tony Freeburn, who owns a grocery store in the village, got a fit of the giggles soon after the Prince passed by. We had no idea that our friend Isobel was snapping away from across the room. …And now we’ve completely lost it. I only wish I remembered what the joke was.